Sigma is certainly stirring a lot of excitement in the camera world these days. Not only have they shed the stigma of being fringy and sometimes inconsistent in quality, but now kind of the king of cool lenses these days. The current direction in that company has certainly brought out exciting products that many photographers are excited about, but they are also challenging old notions about what is possible on smaller format cameras. APS-C whether or not is truly in danger of being left behind, is still one of the most popular dSLR formats out there. Millions of users have bought into the 135 crop size without concern over the fact that part of the dreamy parts of an image have been cropped out. However as new photographers mature in their abilities and those that follow the trends of what is hot in photography, some can't help but fall into the rhetoric around 'full frame' format. Perhaps you haven't been sucked into all of that but this lens just proves that you don't need to have a full format 135 camera to get the same effect that all those users of that format rave about. Considering also the price of this lens at $899, compared to the full frame equivalent of $2,200 is something that is hard to ignore. Of course 18-35 is a pretty limited range, but does cover the 'normal' lens range that is very popular with many photographer. This first look was just a quick trial in the store with their first copy to arrive, and I was very impressed with the image quality and the bokeh or background blur. The build of the lens is impressive. It's got a solid build, and has a very smooth (but a little stiff) zoom ring. I like the new texture of the outer shell which is a nice soft surface (which I do worry will pick up some scratches easily). All the shots I took with this camera were wide open at F/1.8 on my EOS SL1 and it was accurate and quick. I was actually a little surprised that I didn't see the wide aperture effect in the viewfinder, but once I snapped the photo, I certainly was wowed by the results. There were no aberrations that I would expect first on shooting wide open, but more so the fact that this is an F/1.8 zoom lens which should certainly show even more issues at the out of focus areas. I'm very impressed by the performance for sure. As I write this entry, I can't help but think about the cost of being invested with my full frame 5DmkIII. 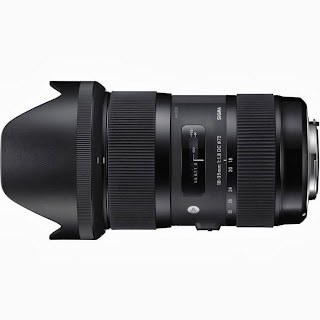 The matching camera for argument sake would be with a 24-70 F/2.8L II vs a 70D with the Sigma. The 5D with the 24-70 comes in at a whopping $5,638 vs the 70D with the Sigma at $2198 a difference of $3440! Both cameras I'm certain would not make a single lick of difference with my style of shooting (and I'm very critical of image quality). Sure there are some features that the 5DmkIII has over the 70D and some image quality difference in high ISOs, but is it that much of a difference that it warrants that price? I'm not that certain. 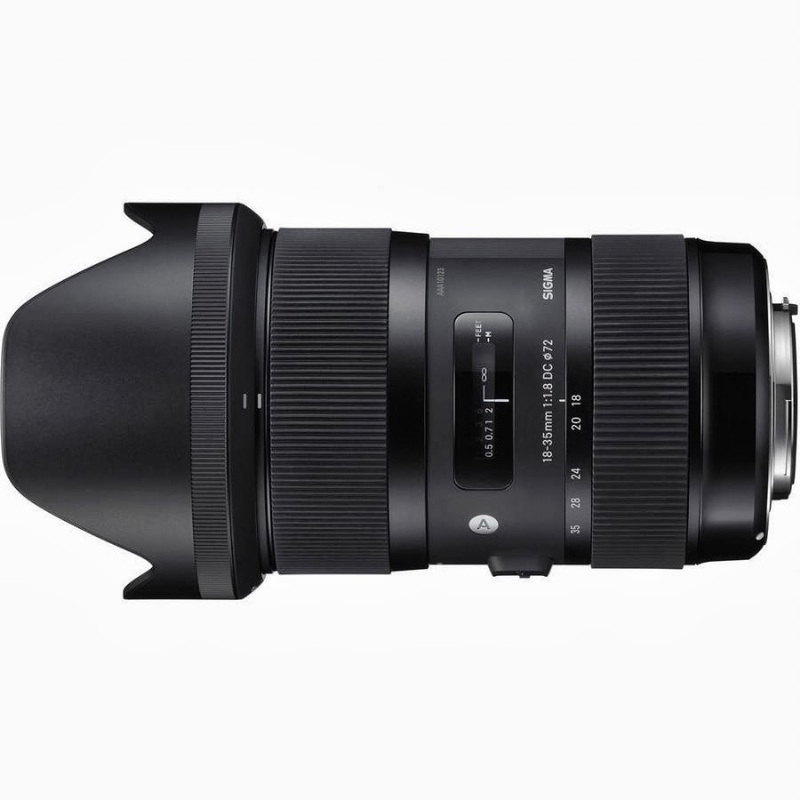 Regardless, this new Sigma is sure to make it even more appealing to APS-C owners giving them additional speed vs an F/2.8 lens for focusing in lower light which becomes a benefit that's hard to turn down. Of course the benefits of image stabilizing adds even more handhold-able possibilities in slower shutter speeds, so this combined with the new Canon EOS 70D might be one of the nicest combinations out there. I mistakenly thought there was image stabilizing when in reality it doesn't. Not a big deal to me, but the F1/.8 on the 70D will make this a real nice low light combination. More time is necessary to really fully appreciate this set-up but for now, consider me impressed by this lens. One thing that has almost always impressed my about Sigma lenses is the sharpness at extreme apertures. Yes, they are very sharp lenses indeed. This one is very impressive for sure. I didn't think this lens was image stabilized? Yes you are correct. My mistake on that.